I am a BIG (100 lb.) 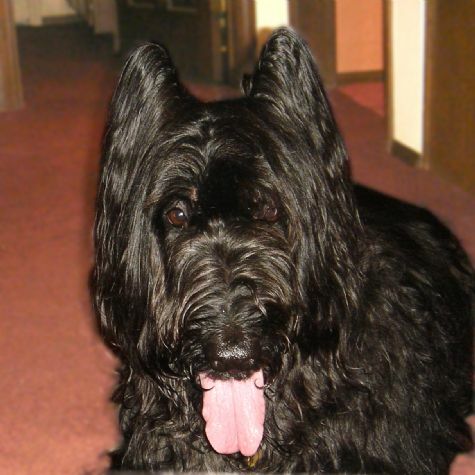 black Briard. I was born in 1998. Everyone says I am very soft and cuddly. I like to wave and shake hands (or paws). I�m pretty good at posing for pictures with anyone. My Mom and I really enjoy visiting hospitals and schools. We like to see the smile on everyone�s faces, especially when my ears pop up when I hear a new noise. Sometimes parents tell me that their child met me 4 or 5 years ago. We love that they remember me and still have my picture.